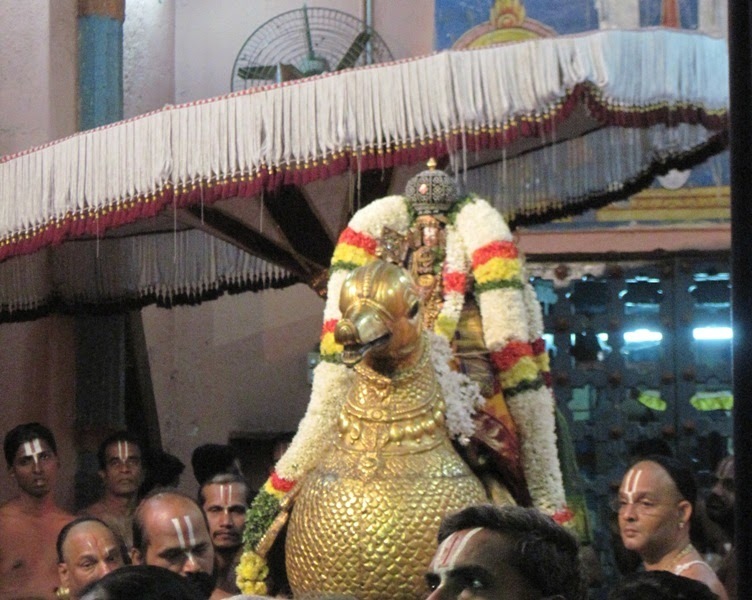 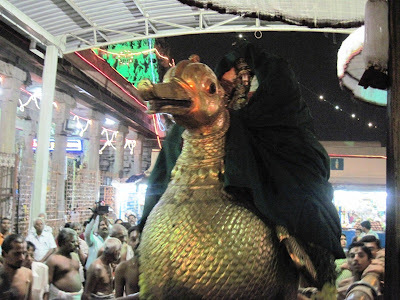 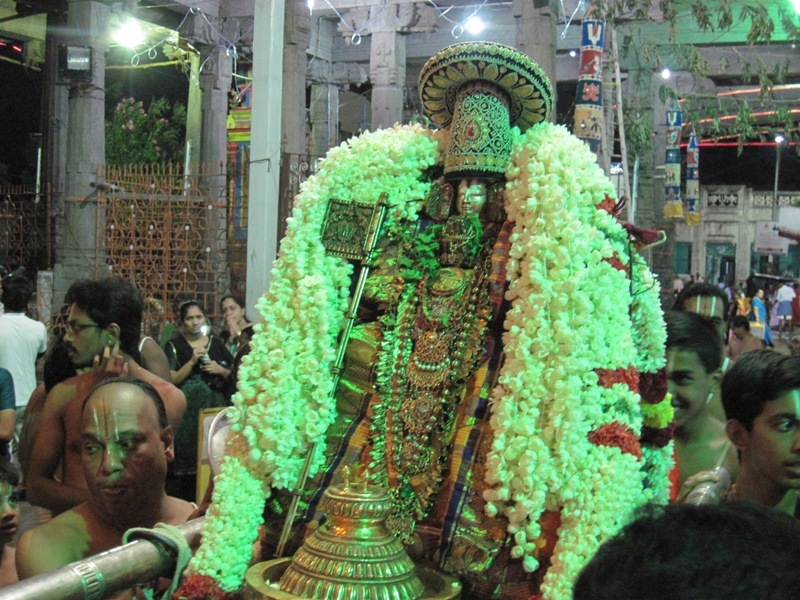 Today – 17th Oct 2012 – is the Seventh day of Swami Manavala Maamunigal Uthsavam. Today num Acharyar had purappadu on Hamsai vahanam. 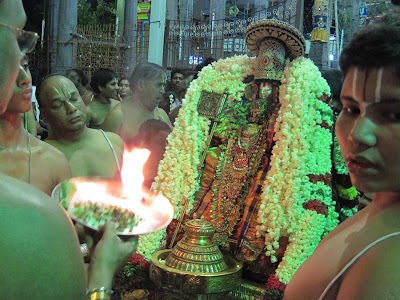 It rained in the evening at the time of purappadu and hence there was the china mada veethi purappadu for Acharyar who was covered with porvai.